What does a locksmith do? 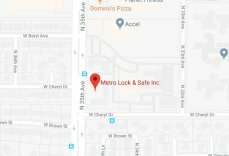 | Metro Lock & Safe Inc.
A locksmith does more than you think. When people typically think of a locksmith, they think of a limited range of services. Typically lock opening and lock changes come to mind. That’s only a drop in the bucket. Locksmiths can program FOB keys, plan and install security systems, and duplicate keys. Many locksmiths are also equally as good at opening a door lock as they are a vehicle lock. These services vary from professional to professional though, so let’s break down exactly what you can expect from your local locksmith. Locksmiths use a variety of tools to open doors locks. What they use to help you gain access depends entirely on the lock. Home door locks can be picked using machines or a pick set. This typically destroys the locking mechanism. Car entry is commonly performed with a jimmy bar and may not require much in the way of time. Lock safes are where things get complicated. Safe locks will not always open in a way that preserves the safe. Drilling into the lock or safe itself is often the only option. That means the owner will need to buy a new safe afterward. 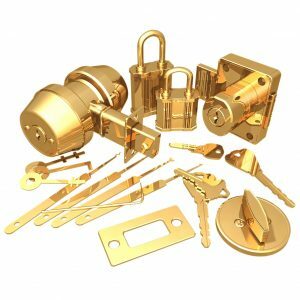 On occasion, the lock or door can be replaced without affecting security. Lock installation is critical for new security systems and to maintain safety. The installation is just a small part of the package. Determining the best lock system is a major part of the job. Locksmiths train in security measures. There many different types including master key systems, key cards, and coded access panels. These can be further integrated together. A locksmith knows how these work together and can structure a locking system that meets the needs of your home or business. Installation occurs with a brand new system, but much more often when an employee or homeowner leaves. Changing locks is always recommended because you never know who may have a copy of the key. For rental property and business owners, it’s a given to protect their assets. New homeowners should change locks as well. Locksmiths help you choose the right safe. There are gun, home, hidden, wall, fire-proof, and other safe grading factors. Do you know what works best for you? Identifying the right safe is a service it’s easy to overlook. Depending on what you need to store and how safe it needs to be, will determine your options. There are even options for protecting critical data that have inbuilt failsafe mechanisms that can erase data automatically. If you’re shopping for a new safe, it pays to use the knowledge of a locksmith. Safe installation is all about positioning. Have you considered the eye level of a thief or burglar? Do you know where they’ll look first for valuables? What’s the best place for a secret safe? A locksmith knows the answer. They install safes where you want them, but can also recommend spots for added security and structural stability. You may not think of a security system as a locksmithing trade, but they go hand in hand. Security systems aren’t just electronic. Locksmiths organize security system plans and layouts as well as installing them. This includes everything from multiple camera systems with remote surveillance and locking mechanisms to something as mundane as a window latch. Tying all of the pieces together to make your property as secure as you want it to be is their specialty. All of this is possible because many locksmiths undergo specific locksmithing certifications that teach them everything they need to know.